If there is one thing that brings a smile to our face, it’s a shoe sale. We are currently swooning over all the stylish options marked down at Zappos. The online retailer has great deals on everything from boots to flats and sneakers, so we’re excited to bulk up our shoe collection. Ready to Shop With Us? Check out our favorite picks from the sale this week down below. These suede ankle boots are the perfect fall footwear pick since they can be styled with everything from dresses to skinny jeans. Sizes range from 5 to 11 with half sizes included. The boot comes in three colors, including black, Creamy Caramel (tan) and Bedrock (brown). See it: Grab the Vince Camuto Creestal Ankle Boots in black (marked down 20 percent off the original $139, now $111) while all sizes are available. Also available in Creamy Caramel (marked down nine percent from its original $139, now $126) or Bedrock for $139. This Nike sneaker is made of full mesh on its upper portion for maximum breathability. The mesh design and foam sole make it a lightweight choice that can be worn while working out or hanging out casually. Sizes range from 5 to 12 with a few half sizes. The sneaker is available in 10 different colors with a select few that are on sale and others that are full price. 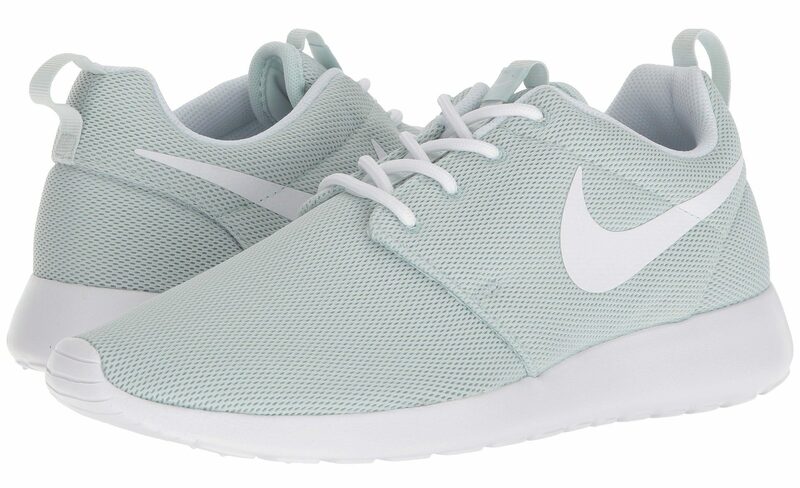 See it: Snag the Nike Roshe One Sneaker (marked down 25 percent off its original $75 price, now $56.25) while it’s available in such a huge variety of colors. We love a great pair of flats that can be dressed up or down and our favorites from the Zappos sale are these Tommy Hilfiger Tomina flats. They are made of suede and have the cutest gold hardware buckled across the top in the shape of the brand’s logo. The flat is on sale in a burgundy suede color, and also comes in a brown hue for the full price. See it: Get the Tommy Hilfiger Tomina Flats in burgundy (marked down 28 percent off from the original $69, now $50) while so many sizes are available. Also available in brown for $69. Call Us sneaker freaks, but yes, we keep a few cool kicks that we never actually wear to the gym. 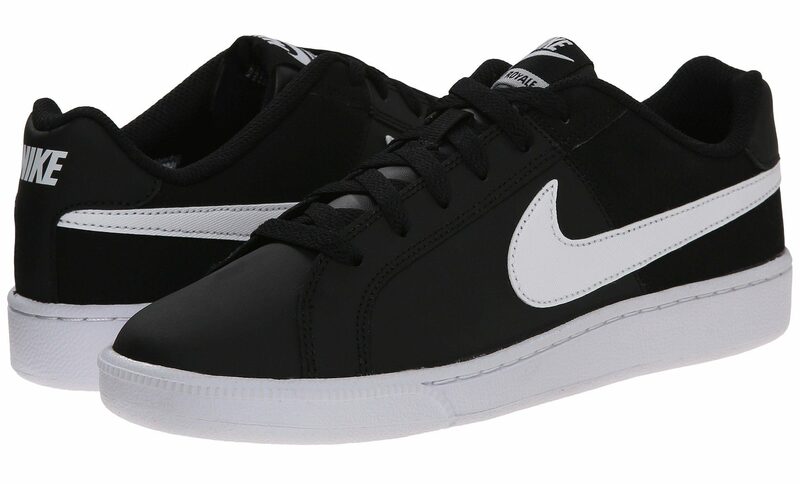 The Nike Court Royale Sneaker is a great street style pick for wearing with skinnies, tops and edgy outerwear. See it: Get the Nike Court Royale Sneaker (marked down nine percent from its original $55, now $49.95) while it’s available in all sizes. Picking heels to wear when the weather gets cold can get a little tricky. We love dressing up, but open toe stilettos — though beautiful — aren’t always the best choice. Still, we don’t have to be bound to boots all fall long. 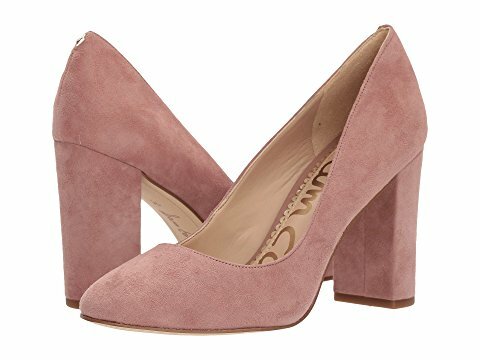 We plan on turning to these Sam Edelman pumps because their closed toe and low chunk heel design keep our feet warm and comfortable while allowing Us to pull off the dressy looks we love. See it: Pick up these Sam Edelman Stillson Pumps (marked down 20 percent off its original $120, now $96) while it’s available in so many cool colors and textures.